Lake Marion is the largest lake in South Carolina at 110,000 acres, often referred to as the state’s inland sea. The area wasn’t totally clear when the lake was created, and there are thousands of stumps, standing dead tree trunks and live cypress trees giving the lake a unique personality and, in some places, an air of mystery—like a scene in an otherworldly film. 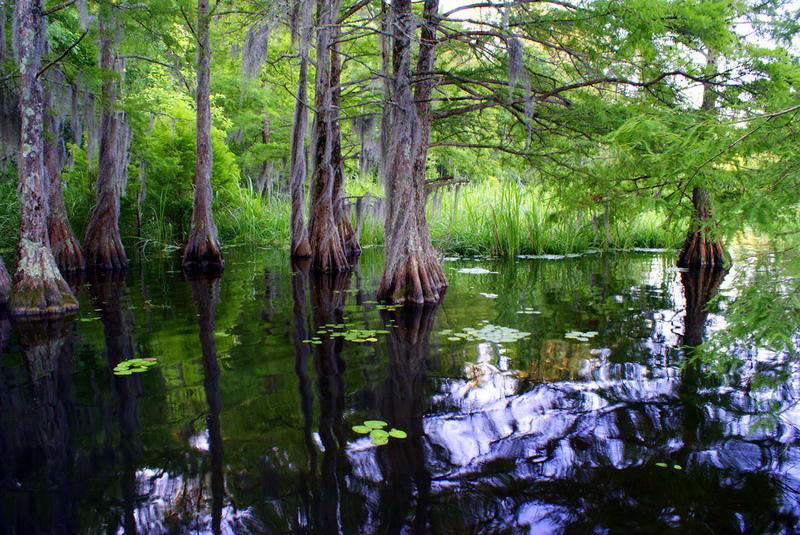 A pontoon tour of the flooded cyress forest is a can’t-miss experience. The lake holds the state record for largemouth bass at 16+ pounds. There are also white perch, crappie, channel catfish, Arkansas blue catfish, shellcrackers and bream to reel in. There is also an interesting variety of wildlife in the area: fox, turtle, wild turkey and alligator among them.